brother Curt to Paris, 1933; moved to Hollywood, 1940, signed two-year contract with Paramount, then moved to Universal under seven-year contract; after filming The Crimson Pirate in England and Spain, remained in Europe, from 1952. Died: In 1973. "Hoodlums: The Myth and the Reality," with Richard Wilson, in Films and Filming (London), June 1959. McArthur, Colin, Underworld U.S.A. , London, 1972. Dumont, Hervé, Robert Siodmak: Le maitre du film noir , Lausanne, 1981. Alpi, Deborah Lazaroff, Robert Siodmak: A Biography, with Critical Analyses of His Films Noirs and a Filmography of All His Works , Scotch Plains, New Jersey, 1999. Greco, Joseph, The File on Robert Siodmak in Hollywood, 1941–1951 , Dissertation.com , 1999. Marshman, D., "Mister Siodmak," in Life (New York), August 1947. Taylor, John, "Encounter with Siodmak," in Sight and Sound (London), Summer/Autumn 1959. Nolan, Jack, "Robert Siodmak," in Films in Review (New York), April 1969. Flinn, Tom, "Three Faces of Film Noir," in Velvet Light Trap (Madison, Wisconsin), Summer 1972. Beylie, Claude, "Robert Siodmak l'éclectique," in Ecran (Paris), May 1973. "Robert Siodmak," in Monthly Film Bulletin (London), June 1978. Masson, André, "Des genres creux, du clinquant, du simili," in Positif (Paris), September 1982. Telotte, J. P., "Siodmak's Phantom Women and Noir Narrative," in Film Criticism (Meadville, Pennsylvania), Spring 1987. 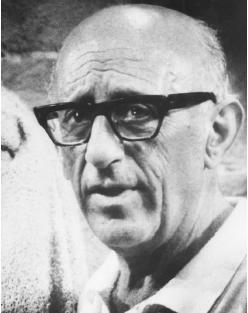 Robert Siodmak is an example of the UFA-influenced German directors who moved to Hollywood when war threatened Europe. Less well known than his compatriots Billy Wilder and Fritz Lang, Siodmak demonstrated his cinematic skills early in his career with his innovative movie Menschen am Sonntag , which featured a non-professional cast, hand-held camera shots, stop motion photography, and the sort of flashbacks that later became associated with his work in America. Siodmak carried with him to Hollywood the traditions and skills of his German film heritage, and became a major influence in American film noir of the 1940s. Deep shadows, claustrophobic compositions, elegant camera movements, and meticulously created settings on a grand scale mark the UFA origins of his work. Such themes as the treachery of love and the prevalence of the murderous impulse in ordinary people recur in his American films. The use of the flashback is a dominant narrative device, reflecting his fatalistic approach to story and character. The Killers (1946 version) presents a narrative that includes multiple flashbacks, each one of which is a part of the total story and all of which must be accumulated to understand the opening sequence of the film. This opening, based directly on Ernest Hemingway's famous short story, is a masterful example of film storytelling. A typical Siodmak film of his noir period is Phantom Lady , a mini-masterpiece of mood and character that creates intense paranoia through the use of lighting and setting. Two key sequences demonstrate Siodmak's method. In the first, the heroine follows a man into the subway, a simple action that sets off feelings of danger and tension in viewers, feelings that grow entirely out of sound, light, cutting, and camera movement. In the second, one of the most famous sequences in film noir , Siodmak uses jazz music and cutting to build up a narrative meaning that is implicitly sexual as the leading lady urges a drummer to a faster and faster beat. Siodmak's work is frequently discussed in comparison with that of Alfred Hitchcock, partly because they shared a producer, Joan Harrison, for a period of time. Harrison produced two Siodmak films for Universal, The Suspect and Uncle Harry. In both films a seemingly ordinary, innocent man is drawn into a tangled web of murder, while retaining the audience's sympathy. Criss Cross , arguably Siodmak's best noir work, ably demonstrates his ability to create depth of characterization through music, mood, and action, particularly in a scene in which Burt Lancaster watches his ex-wife, Yvonne DeCarlo, dance with another man. His fatal obsession with his wife and the victim/victimizer nature of their relationship is capably demonstrated through purely visual means. In later years, Siodmak turned to such action films as The Crimson Pirate and Custer of the West , the former a celebrated romp that was one of the first truly tongue-in-cheek anti-genre films of its period. Although Siodmak's films were successful both critically and commercially in their day, he has never achieved the recognition which the visual quality of his work should have earned him. An innovative and cinematic director, he explored the criminal or psychotic impulses in his characters through the ambience of his elegant mise-enscène. The control of all cinematic tools at his command—camera angle, lighting, composition, movement, and design—was used to establish effectively a world of fate, passion, obsession, and compulsion. Although his reputation has been elevated in recent years, his name deserves to be better known.